If one of the ways you go about getting rid of clutter is the dreaded task of "spring cleaning," then you know just how difficult it is to get rid stuff you've accumulated over the year. Those who have lived in the same place for a while often accumulate years of clutter and don't even know how it happened. Aside from taking up space and being an eyesore, clutter has another effect on your household, it creates stagnate and negative chi. 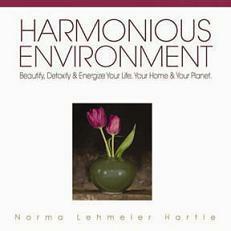 LoveToKnow had a chance to speak with feng shui expert Norma Lehmeier Hartie, author of Harmonious Environment: Beautify and Energize Your Life, Your Home and Your Planet. Now doesn't that sound just…nice? Here is what she has to say about clutter, its effect on your household's energy and how you can go about decluttering your home to allow renewed, positive chi to flow freely. LTK: What are the main benefits of getting rid of clutter from your home or office? NLH: The payoff for a clean, organized home or workplace free of unwanted clutter is immense. The energy in your home or workspace will change; stale and negative energy is replaced with positive, powerful, life-enriching energy. The space will feel lighter and that good energy will make you feel more energetic and happier. When you know where to find your belongings, you will find yourself with more time to be more productive or actually to relax. Finally, a clean home that is as free as possible from dirt, mold and allergens is a healthier space. LTK: What are some of the negative effects of living and working in a cluttered environment? NLH: Clutter will literally bog you down and you will feel stagnant, unable to move on in your life. It will make you inefficient, because you are constantly searching for things. It will cause stress, because searching for things causes anxiety. Lack of productivity and energy, as negative energy of clutter depresses. LTK: Can you give some quick guidelines to help our readers on how to determine what is considered clutter in the home and what isn't? NLH: Clutter is anything that isn't used or liked. Sometimes, we hold onto stuff for sentimental reasons. Clutter can also be just too many objects on a given surface. If you collect stuff and don't wish to get rid of those objects, another option is to rotate them. For instance, if you have six objects on a side-table all vying for attention, store three away for half the year. Now, the three objects will look nice and you won't have that cluttered look. LTK: Some people have a difficult time parting with their things, what are some feng shui words of encouragement you can give to help people like this let go of these items? NLH: If you have things around that aren't being used or enjoyed, that stuff is not giving off good energy and will make you feel stagnant in your life. LTK: Getting rid of clutter and applying feng shui principles to a home can seem overwhelming, what kind of tips can you give our readers that make these tasks a bit easier to handle? Decide what single space in your house bothers you the most. What space haunts you in its need for an organizational overhaul? The space could be as small as a single junk drawer in your kitchen or as large as your two-car garage that is filled with several generations' worth of cast-offs. If the prospect of organizing is akin to a trip to the dentist, start with a small space. If cheap psychological tricks, like rewarding yourself for a job done, work, employ them. Conversely, do not try to organize a space so large that the project could take weeks, forcing you to look at depressing piles of things waiting to be organized or removed. Take that large space and divide it into easily managed projects. 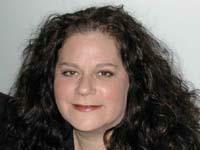 LTK: Can you give our readers some useful tips to help organize their homes and offices? NLH: The actual doing is straightforward: keep and organize items that you like or love and that you use. Remove all items that you dislike, are broken and not fixable, items that do not fit and objects that are not used. If this is very difficult to do, have three piles: keep, throw out and undecided. If there is an overwhelming amount of organizing and removing to do, begin with the most important rooms and go from there. The most important rooms to be clutter-free are your bedroom and the center of your home. Good energy in the bedroom is of vital importance; it is where you spend a great deal of time and get your rest. The center of your home affects the health and vitality of the family. Once these two areas are organized, move on to the rest of the home. LTK: Common household cleaners contain a lot of toxic chemicals, does using such products at all effect the chi in a home or office? LTK: Can you recommend some eco-friendly cleaning products? NLH: I like the Earth Friendly Product line. There are many non-toxic cleaning products and they are available in natural food markets. I suggest trying a few (smell them in store if possible.) I also use several of my own mixes.